When using stainless steel metal jacketing for LNG applications controlling surface temperature is a very important criteria. The way this is achieved is through heat reflectivity and emissivity. Stainless Steel 316 and aluminium are widely specified but bare metal while performing as a protective jacket is no doubt the ideal material the emissivity lets the product down. The solution is to apply a highly abrasion resistant long lasting coating that will deliver an emissivity of at least 0.85, if 0.90 or above can be achieved then even better. The coating ideal coating will not only delivery on the required emissivity levels but also enhance the corrosion resistance. For the installer the coating want to be durable during fabrication and install, maintain colour especially as at some point maintenance will be required and continuity is important. The coating that achieves all of the key charac­te­ristics is Tedlar® Polyvinyl Flouride Film (PVF) manufactured by Dupont™ and widely used for aircrafts, photovoltaic cells and perfect for the oil and gas and petroc­hemicals industries. Tedlar® film has been used in various commercial applications for over 50 years. It is stain resistant, non-flammable and easy to form. BS Stainless working closely with Dupont™ have developed their brand TEDMET® at their Lancashire head office using state of the art manufacturing techniques they can combine Tedlar® with stainless steel or Aluminium widely used in the insulation industry for metal jacketing. This product is extensively specified for projects such as Wheatstone and Curtis Island LNG’s in Australia and in the future Corpus Christi liquefaction project in Houston Texas. The interior or underside of the metal jacketing often requires a moisture barrier to protect the metal from galvanic corrosion. The solution for this is Drymet ®which can be factory bonded to the metal. Drymet® again uses Dupont™ technology in the form of Surlyn® combined with Polythene to create a Poly and Surlyn® barrier highly resistant to moisture. In addition an acoustic barrier can also be created combining Soundmet® with Tedmet® to ensure an exterior coating of Tedlar® (PVF). 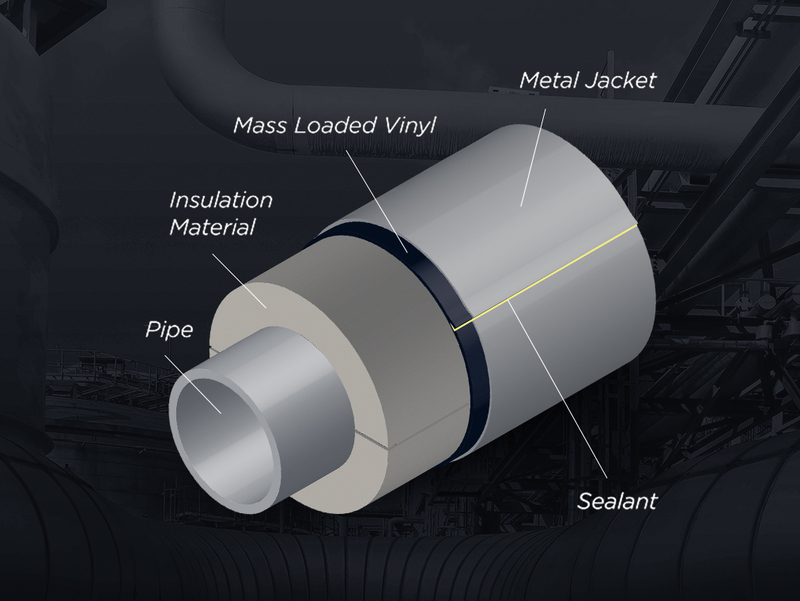 Metal jacketing using Tedmet ® as an exterior coating and secured with banding, wing seals, rivets and screws is the perfect solution for long lasting and low maintenance for oil and gas plants. Resistant to extreme weather and easy to install.